HOUSTON (KTRK) -- Expect delays at Baytown East Freeway westbound at Waco, where a truck has lost a load of materials on the roadway. Emergency crews shut down the westbound lanes for a few moments to remove the debris from the roadway. Cleanup continues, but is causing delays behind this scene. 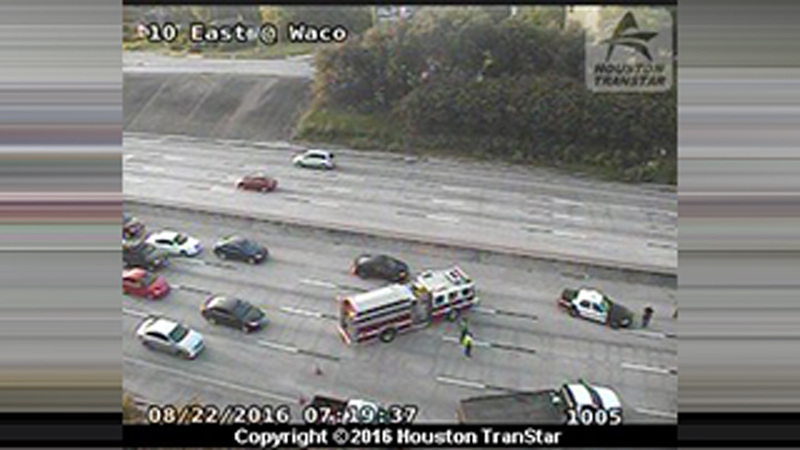 You may want to give yourself a few extra minutes this morning if you must travel the westbound lanes of I-10 East.